Books are the aqua vita of the spirit; they form a kind of background radiation against which I measure my life and my endeavors. They buck me up when I’m down, inspire me out of torpor, galvanize me when I am ready to walk the fire. – James O’Reilly, co-founder of Travelers’ Tales, via Stephen Hartshorne. I appreciate this quote, but I feel it’s lost in today’s electronic age. As a child, I played with Intellivision and Nintendo as much as the next kid, but I wasn’t as distracted by the Internet, video games, and iPods as today’s youth. So, I read. A lot. I also don’t see this quote applying to e-books. To me, the thrill is in turning pages, not clicking mouse buttons. During an interview several months ago at a Boston-based nonprofit organization, I was asked about my ability to both follow directions and take initiative. The first part of the question stemmed from the organizational mission and my interpersonal relations to management, and the second part dealt with confidence and taking risks. It could be said that answering any interview question goes against the grain of desiring non-reactionary employees. Still, based on my own interview experiences, most companies don’t even ask such a question. Most fast-growing organizations are looking for people who can get stuff done. There is a fundamental shift in rules from manual-based work (where you follow instructions and an increase in productivity means doing the steps faster) to project-based work (where the instructions are unknown, and visualizing outcomes and then getting things done is what counts). And yet, we’re still trying to hire people who have shown an ability to follow instructions. I possess a proven ability to get things done. My recent job title of “project manager” indicates, by function alone, a responsibility to achieve organizational success. It’s worth noting my Myers-Briggs personality type of ENFP is shared by many other writers and artists, but despite that Boston interview was for a communications position, I didn’t get the job. We’ve all heard of the KISS method, applicable to most facets of life. The KISS method should also be used for word counts. Any editor will tell you that newspaper space is real estate; because a paper can always run an advertisement, there should be a reason why a 800-word story is better than a 400-word story with the same plot elements. Granted, hard copy real estate is different than online real estate, but that’s no excuse for writing fluff just because you can. Sandy Cohen, an Associated Press entertainment writer, wrote this story about Paris Hilton’s first night in a LA jail. But because the press is not allowed inside the jail and the paparazzi are barred from photographing the hotel heiress for the next few weeks, only a few sentences carried content on the jail cell’s description and her soon-to-be activities. Ms. Cohen wrote 787 words for this mindless drivel. Is this really necessary? 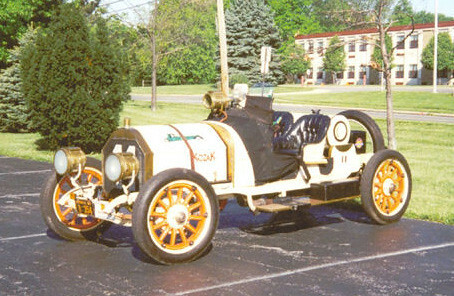 Every year, scores of pre-1960 antique cars participate in the transcontinental Great Race that traces its 25th American route next month from Concord, North Carolina to Anaheim, California. Five years ago, in April 2002, my friend Mike and I participated in a timed endurance road rally, sponsored by the Great Race folks. I drove my 2001 Subaru Forester (clearly NOT an antique car) and Mike agreed to be my navigator, which involved him holding a wall clock and the rally instructions. For my part, because my Subaru included components not in older cars, I was forced to cover my odometer with duck tape, as well as blocking any electronic clocks. One of many regional rallies around the country, I participated in one based in Millville, New Jersey and following a pre-arranged route through New Jersey, Maryland, and Delaware. While many of the participating cars were vintage, Mike and I merely wanted to experience the race. It’s not really a race, though. Points are deducted for arriving early at a checkpoint. The purpose is to follow a set of instructions, according to speed and time. After two and a half days, cumulated daily totals were calculated to determine winners in different categories. Among the newbies, Mike and I received first place. Yay! “You learn a new thing every day,” I respond. It’s a truism, and a moment I sometimes forget. But a few minutes ago, after following a Universal Hub debate about Somerville and Boston, I browsed through Rob Bellinger’s blog and came across this story from July 2004 about the Subway sub shop in Davis Square being the former home of the first Bertucci’s. Now, while I usually trust people when hearing things, I usually double-check stuff read online, so in this case I went google hunting and came across this Wiki entry (if Wikipedia is to be believed) that Bertucci’s was born in Davis Square. When will Bertucci’s return to the square? I’m not a branding expert, but when I think of Inigo Montoya, I think of that phrase. When I think of Xerox, I think of printers; Kodak for cameras; Starbucks for coffee. In this blog’s introduction a mere 16 days ago, I briefly mentioned the concept of branding and how I easily chose my five-year-old brand of “ariwriter” as my Blogger name. My blog title, though, was “According to Ari,” which did not scream branding. No more. It’s all about the brand, I recognize. Now, the blog name equals the blog title, and my full name along with a simple purpose is in the blog description, echoed in the blog profile. Again, repetition of branding. Moving forward, I’ll be writing more travel tales and Flickr-linked photos of those travels. I’ve visited more U.S. states, more Canadian provinces, and more international countries than many of my peers. I’ve written about travel, taught adult education classes about travel, and provided travel advice. Future posts won’t be about just travel, but also reflections on both local and global events, and photos of new and interesting things. My name is Ari Herzog. You did not kill my father, so do not prepare to die.